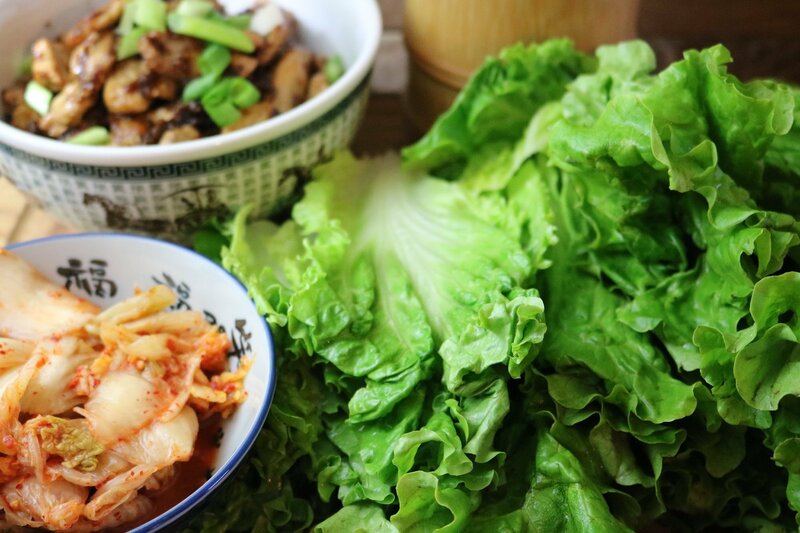 We're big fans of Korean food but we want it to be the healthiest version possible. That's why I adapted my bulgogi sauce to be paleo friendly. 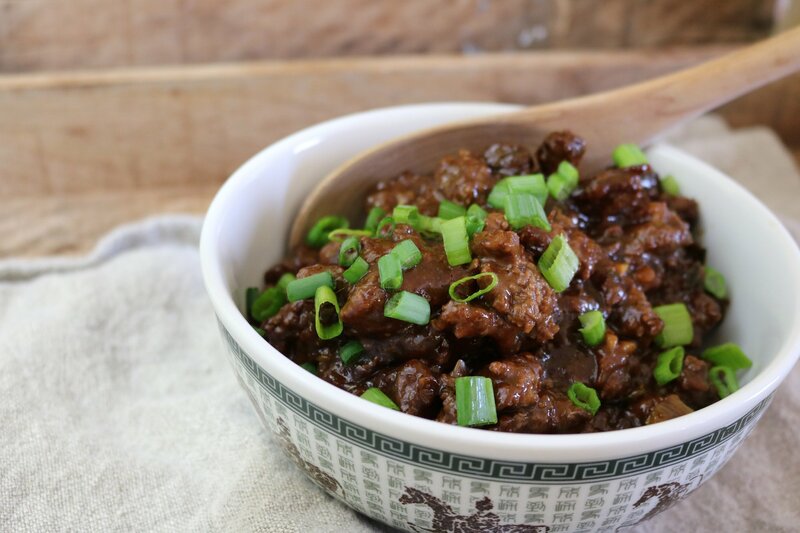 One of our favorites, Bulgogi (literally “fire meat”) is a dish made of thin, marinated slices of beef or pork grilled on a barbecue or on a stove-top griddle. Many people choose to stir-fry in a pan at home as not all of us have the tools to barbecue the meat. After the meat is cooked, it is traditionally paired with a bowl of hot rice or lettuce leaves to make wraps. For the lettuce wrap, open leaf, then add a slice or two of Bulgogi, and a bit of kimchi if you like it. 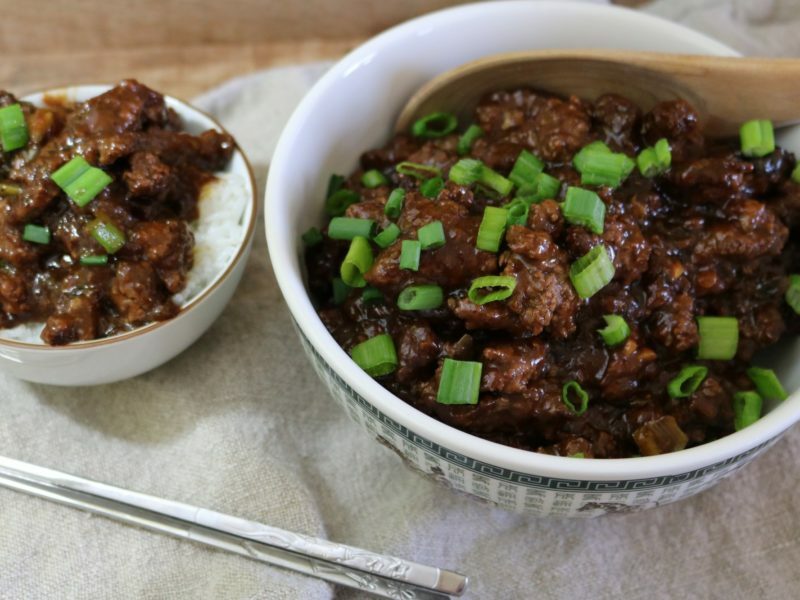 For low carb, use this recipe with some riced cauliflower or miracle rice. This recipe is for the sauce which can be used on whatever you like, chicken, fish, beef, burgers, you name it! Mix all ingreients except xanthan gum together in a small saucepan, until it begins to simmer. While whisking, mix in thickening powder. If you substitute soy sauce or tamari instead of the coconut aminos, you may need to use a bit less and add a little extra sweetener. I prefer the taste of coconut aminos as it has a cleaner, sweeter taste whereas soy sauce and tamari are heavier and saltier. That's just my opinion! Can be used to marinate beef, pork, or just to add on top of meat after cooking. Our family prefers Sirloin Steak sliced into bite-size pieces when making Bulgogi. Nutrition information is calculated with erythritol. If you use coconut sugar it will add another 12 grams of carbohydrates. 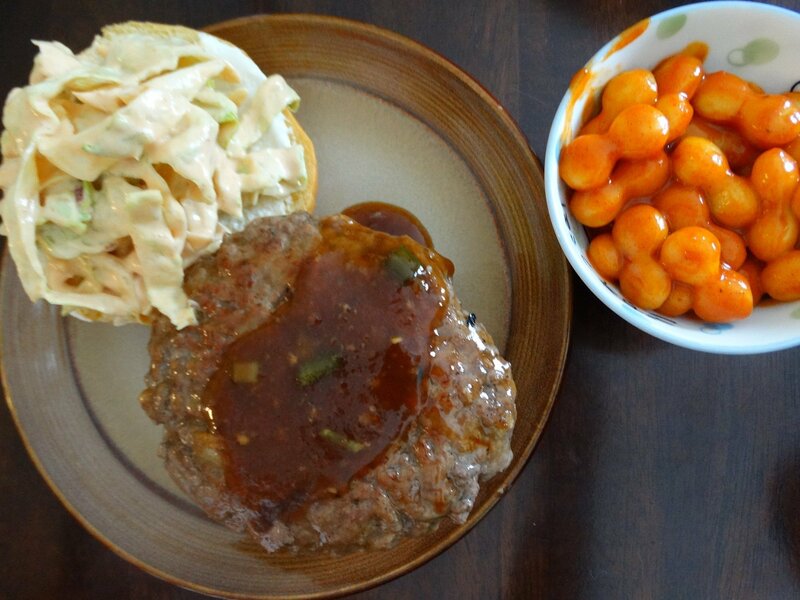 On a side note, the sauce makes a delicious accompaniment to burgers on or off the bun! 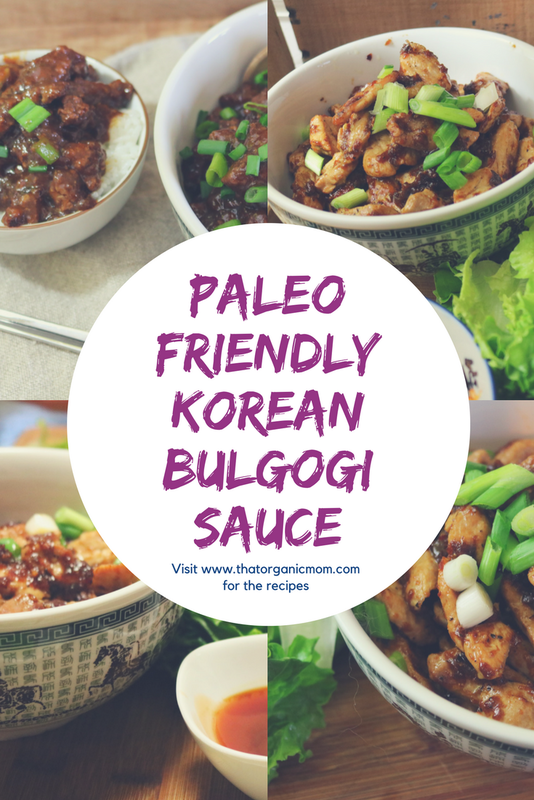 Korean Bulgogi Sauce can be used as a topping or dip for my Salmon Onigiri as well. Use your imagination with this sauce, put it on whatever you can think of, remember cooking is an art and you are the artist! PS ~ you might like my post on Korean Dramas for beginners, or maybe you have a Kdrama recommendation for me? 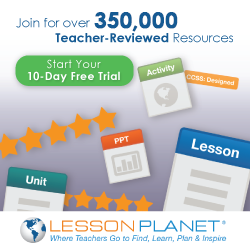 Leave your suggestions!